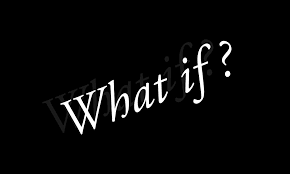 BNI of the Heartland: WHAT IF? What if your BNI Chapter did not have any Leadership or Support team? What kind of Chapter would your Chapter be? As we head through the 'dog days of summer', it is time for members to volunteer for a Leadership or Support role. You are probably the perfect fit for one of the following roles, so what if we take a look at each role? If you did not have a President, no one would follow the agenda that is used throughout BNI. Would you start and end on time? Would there be a person to help everyone focus on business? Would there be an orientation of new members? If there was not a Vice President, there would be no one to capture the statistics. Since, what gets measured gets done, what kind of results would you see in the Chapter? Who would report the previous 4 weeks of numbers during the meeting? There would not be a chairman of the Membership Committee to help get potential new members into the Chapter and to help with resolving any membership issues. If there were no Secretary/Treasurer, how would you know who is speaking each week? Would everyone expect to speak each week? What about room fees, or new member applications and fees, or renewal applications and fees, who would collect those? Who would get these to where they need to go? If your Chapter did not have an Education Coordinator, how would you get continuing education about networking? Would you do the research each week so you can learn more about being an effective and efficient networker? If you did not have a Membership Committee, who would check references for new members? Who would process renewing member’s applications to see if they are still a good fit for the Chapter? Who would mediate complaints between or about members when necessary? If there were no Visitor Hosts, the good thing is every member could be a Visitor Host, but would they? Would there be someone at your meeting early to welcome visitors and introduce them to members? Who would do the Visitor Orientation at the end of the meeting (whenever that is)? Who would follow up with visitors regarding membership? If you did not have a Growth Coordinator, who would look at the professions in your Chapter to determine who is missing from your contact sphere? Would your Chapter have steady growth? If there was not a Mentoring Coordinator, would members step up to be a mentor to help new members be successful? If your Chapter did not have an Event Planner, who would help with organizing social events outside the regular Chapter meeting? If you did not have a Chapter Webmaster, who would customize and update your Chapter website pages in BNI Connect? It seems to me your Chapter would be more of a “coffee klatch” than a Professional Business Organization, if there were no Leaders or Support Team. What kind of results would you see? Now is the time for members to volunteer for these Leadership roles. Which one is the perfect fit for you? When would now be a good time for you to check with your current President, Vice President, Secretary/Treasurer, or your BNI Director to see how you can step up for one of these roles today? Without you, what kind of Chapter would your Chapter be?